Bournemouth midfielder Richard Hughes has announced his retirement from football at the age of 34. Hughes played almost 200 times in two spells with the Cherries. The Scotland international also spent nine years at Portsmouth, featuring for the club in European competition after Pompey won the FA Cup in 2008. 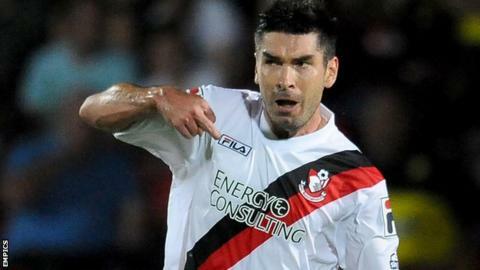 Having initially retired in 2011, he returned to Bournemouth a year later, helping Eddie Howe's side to win promotion to the Championship. But he featured just seven times in 2013-14 and, with his contract due to expire, he has taken the decision to quit.